Midnight nears in the National Stadium. Eric Donovan has just secured a precious KO victory in the night's main event but the action is not done yet. The crowd is departing, the arena is being dismantled, but Cillian Reardon is just making his way to the ring where he will add another win to his record. Reardon's rise has rapid since his debut last year. 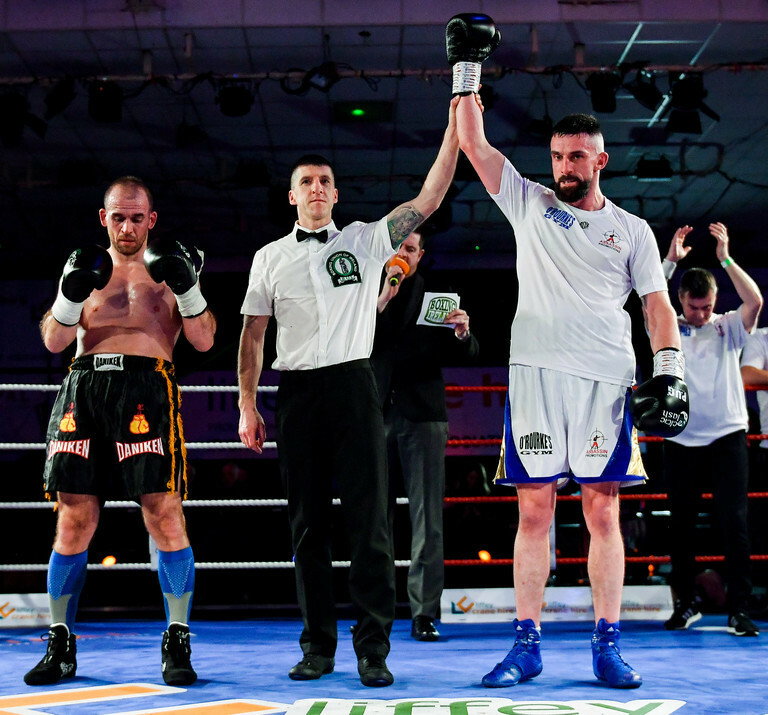 He moved to 5-0 on Saturday night at the Clash of the Titans event with another accomplished performance, showing style and steel in equal measure. It was a showing all the more impressive given the multitude of potential distractions throughout the build-up. His bout was scheduled as a 'float' fight, with no official time. It eventually took place last on the bill, long after the vast majority of patrons had left. "Thanks for staying," he jokes after the fight, typically taking the obstacle in his stride. The was a lot of them to get over. His initial opponent pulled out on short notice while his team, Leinster rugby, were in action on the same day in the Champions Cup quarter-final. 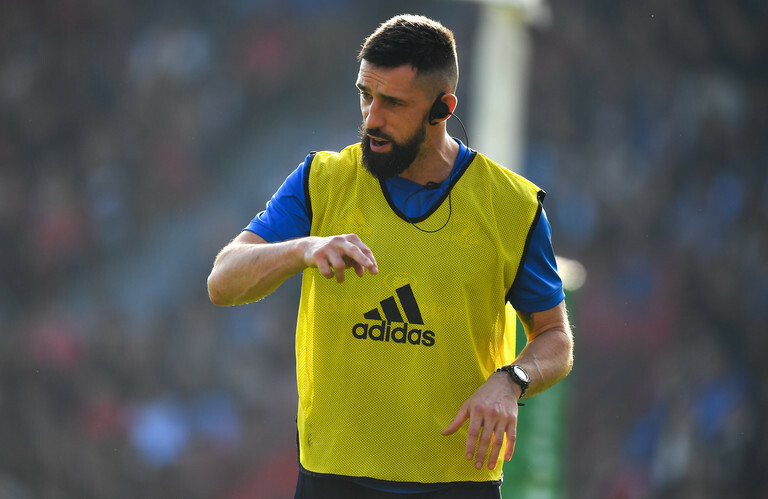 Reardon is Strength and Conditioning coach with the province and his focus was very much in the Aviva Stadium as he awaited his chance in the ring. "I was listening to it on my headphones in the dressing room," he explains, while breezily batting away questions about whether it proved a distraction. "Maybe it did, maybe it didn't. But I had two big things going on today and I wanted to track them. My job is always there." The result was a positive one, winning on a unanimous points decision but Reardon is evidently less than happy with the performance. A slight shake of the head as the final bell sounds signals as much. I don't want to be too reactive straight away. I was geared up to fight at nine o'clock. I was absolutely buzzing. Then I got pushed down the bill until 11.30. It's part of the game but I struggled to stay up, I couldn't get my energy going or build a second phase in that fight which is what I wanted to do. I controlled the fight, I think if I was at my best I would have stopped him. I recognise a huge amount of progression in the camp so I expect that to come out in my boxing to some degree. I'd just like to see it back. The expectation was I would probably be in straight before or straight after Vic's (Rabei) fight. That was what we based our plan on. It didn't pan out because all the fights went the distance. Due to the timing of the fight, Reardon also missed out on the possible wide audience that came with TG4's TV coverage. They had wrapped up the broadcast by the time he took to the ring but it's of little concern to the Stillorgan middleweight. He is certainly not one who craves the limelight. "No, It really doesn't matter. It would've been nice to get a TV spot for my career but the most important thing is getting a win. For this fight, my opponent pulled out late. So I had prepared to fight a southpaw for the duration of the camp and then it was a last minute change to an orthodox opponent. "Then getting pushed down the bill today, it was just about staying in the game and making sure you don't slip up and lose the fight because stuff is falling out of the sky all around you." He may not crave attention but he is certainly ambitious. 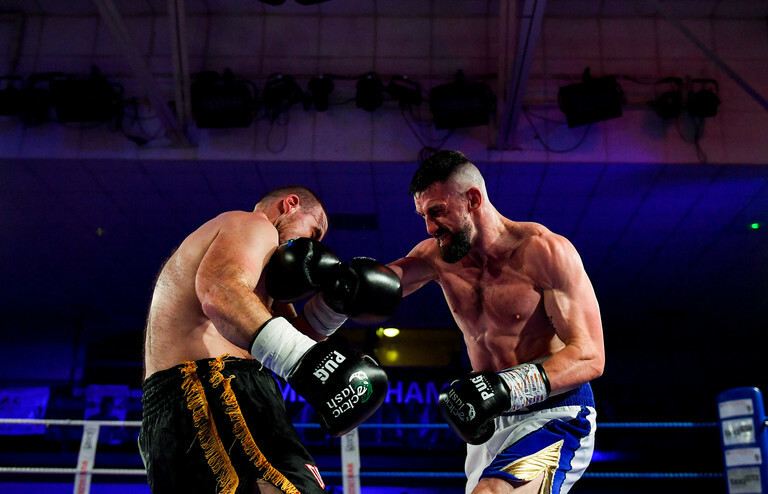 Reardon's sight is firmly set on an eventual Irish title, with a Celtic title next on the list. He cites Limerick prospect Graham McCormack, who was successful in his own bout on the undercard, as a potential All-Irish title fight that would mark a beneficial next step. I'd like to fight for the Celtic title next. There's a lot of guys around middleweight, light-middleweight who have similar records and got their pro licences at a similar time and have had a similar introductory year. They are talking about winning Irish titles, Celtic titles. I'm doing the same so we're going to have to fight each other. I think Graham McCormack would be a good next step, that's a fight I want sooner rather than later. Going about his business, unobtrusively but assuredly.